I'm not OK with the amount of child actors in Doctor Who nowadays. 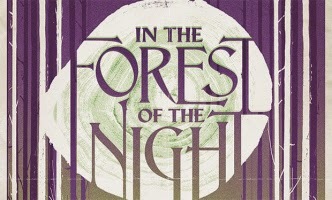 "In the Forest of the Night" by Frank Cottrell-Boyce, directed by Sheree Folkson. Spoilers after the cut. Oh hey look, a female director on Doctor Who! That's a rarity, although not quite as much of one as a female writer. Anyway, I know this is a kids' show, but historically it's managed to avoid putting too many actual kids front and centre, but this series they seem to be determined to get the little buggers onto the TARDIS. I mean, when you find a really good child actor they can be really impressive, but when you're chucking a couple of dozen of them at the screen at a time, just picking the ones who can actually act gets tricky and... yeah. Some of that going on in this episode. Other than that it was basically fine, although everyone who didn't happen to have a child on a field trip seemed remarkably unconcerned by the entire planet getting overgrown with forest overnight, seeing as they just stayed at home and let the government get on with it with their flamethrowers. There'd have been more panic. Or at the very least more picnics. I'm guessing the title only came after they decided there was going to be a tiger. I don't know much about them, maybe they are essentially Mogwai and afraid of bright lights; still though, I'm going to take a wild guess that after you've scared off a tiger with a torch, the recommended course of action isn't "turn your back on it and assume it won't come back a bit later, much more pissed off."